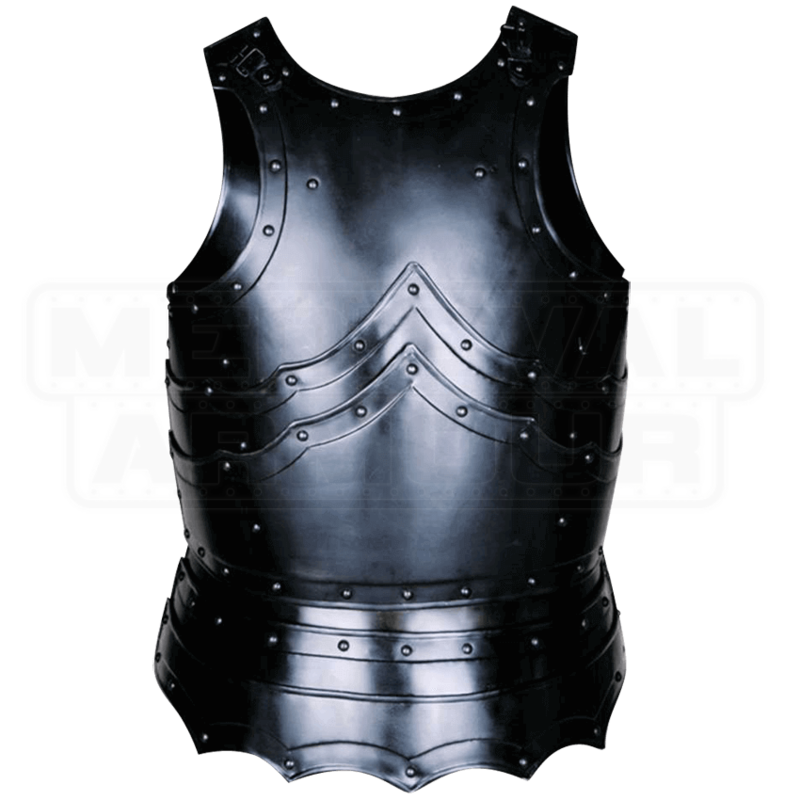 Treated to protect against rusting, the Blackened Balthasar Cuirass is an eye-catching piece of LARP armour that lends a darker look to any medieval outfit. Both the breastplate and the back plate are included in this set. They are connected via adjustable leather straps and buckles at the shoulders and sides. The beautifully constructed breastplate consists of seven separate segments riveted together, while the back piece is rigid. The lower two segments are hinged, allowing the wearer a suitable range of mobility, while attachments at the shoulders are intended to help connect a set of spaulders to the cuirass. 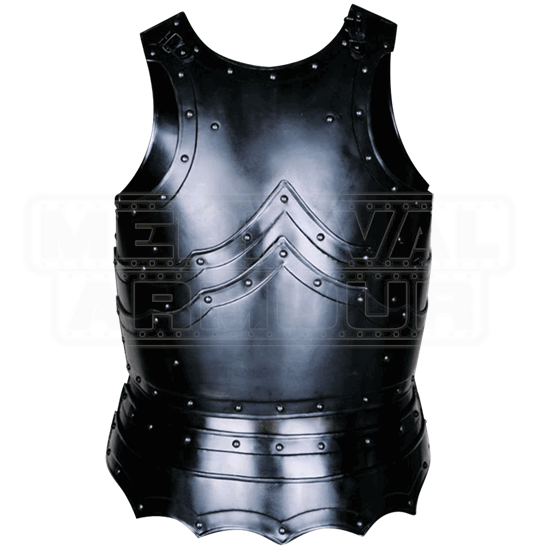 Worn over a padded gambeson, this set of blackened steel armour is ideal for wearing at LARP events, as part of medieval outfits, and at a variety of historical reenactments.